This luxury townhome community, by renowned builder K. Hovnanian, is slated to consist of 32 uniquely designed over sized townhomes. 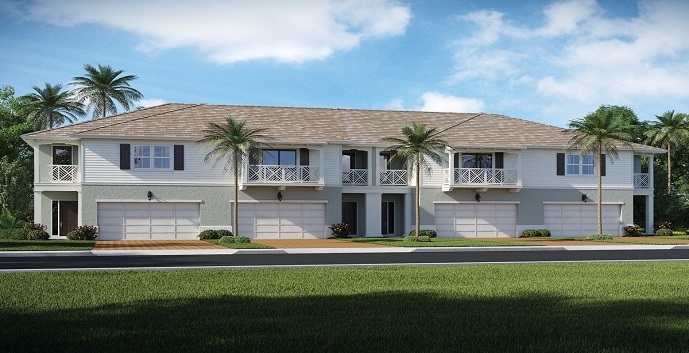 Located in North Palm Beach off Ellison Wilson Road, Hampton Cove will feature spacious townhome living with 2 car garages, open floor plans, and designer finishes such as stainless steel appliances, wood cabinetry and Moen fixtures. Residents here will enjoy a community pool, lush landscaping and close proximity to pristine beaches and world class shopping and dining. Aurora - 2 story townhome, 3 bedrooms, 2 and 1/2 bathrooms, 2 car garage, great room, dining room and loft. Bonaire - 2 story townhome, 3 bedrooms, 2 and 1/2 bathrooms, 2 car garage, great room, dining room.